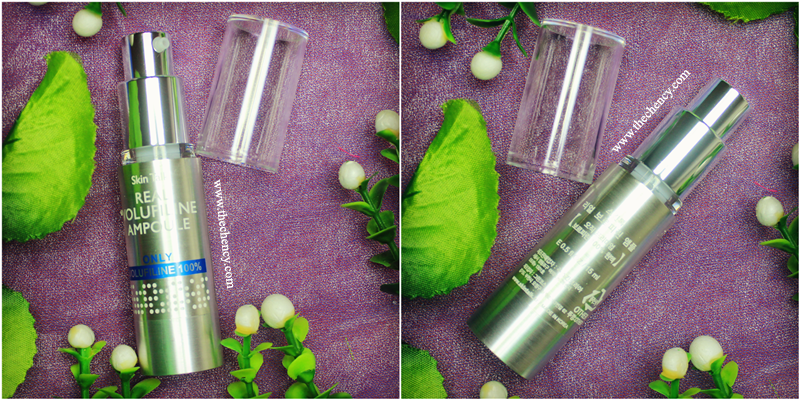 It does not contain any artificial ingredients, but fermented essence (100% galactomyces ferment filtrate and bifida ferment filtrate) that will restore the skin’s healthy rhythm, maximizing absorption and regeneration in a natural manner. It helps to brighten the skin tone and breathes vitality. It is used as a substitute for a toner right after face wash, aids in regrouping skin texture, stopping the evaporation of moisture. In long term wise, it strengthens the skin’s barrier. * Note* The 100% fermented chemical ingredient will cause Jarisch-Herxheimer Reaction (also known as improvement reaction). It will first temporarily worsen the skin, where it is the process of residue an poison from the skin are making their way out, and then only it will improves by brightening the skin. * Note* Skin reaction test method via applying a small amount so that it forms a circle of approximately around 1cm in diameter on the inside of the arm (from between approximately 5cm above the wrist and the part where the arm folds), then stick paper tape on top. After one day has passed, check the state of the skin. 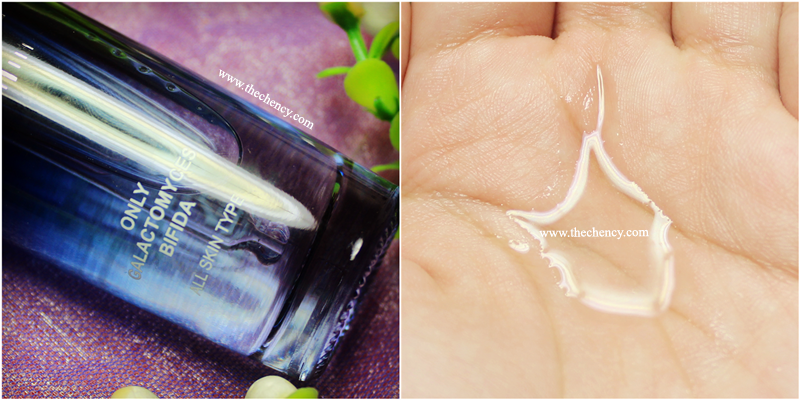 For the texture, this ampoule is very light and smelless. It totally like applying water on the skin. As the description mentioned, it might worsen the skin at first and then will slowly see the improvement after. Personally I tried for two weeks and three days, so far I did not feel any irritation or facing worsen skin; basically I feel nothing on my skin. 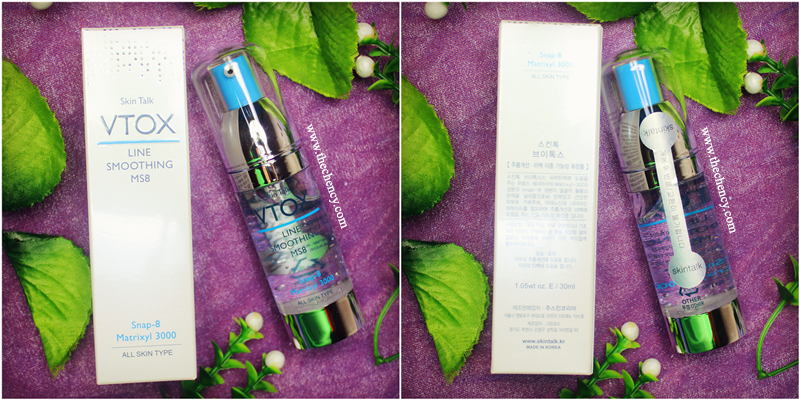 I did not feel any hurts or itchiness even when I applied this ampoule. Like what I said just now, it's really feels like water. 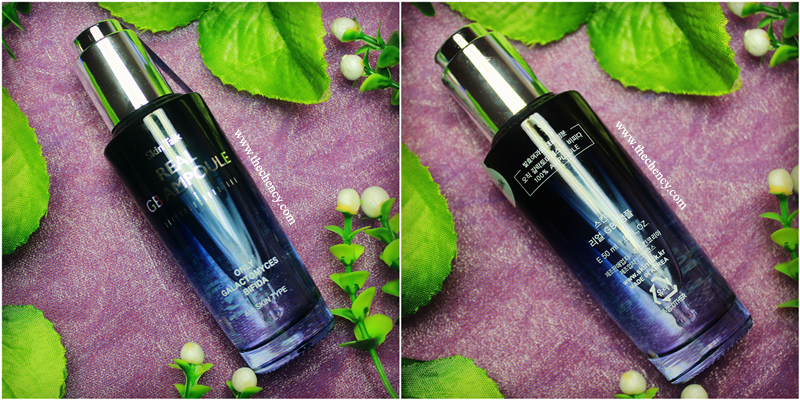 Or perhaps my skin is cooperate good enough with this ampoule. 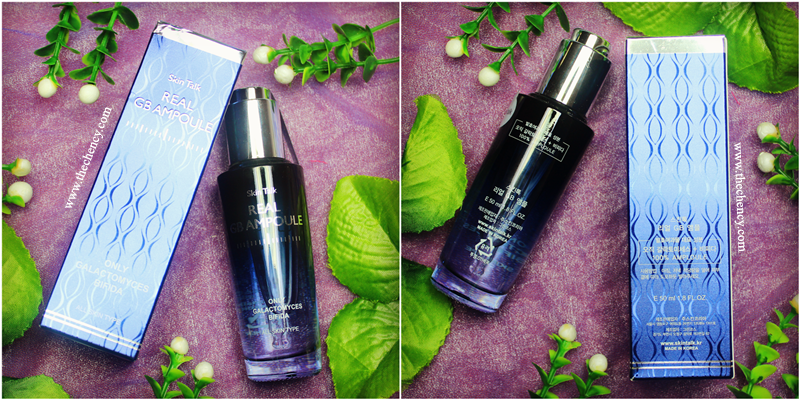 The improvements I can see through using this ampoule are my skin are more moisturizing and looks more energetic (looking fresh, not dull). 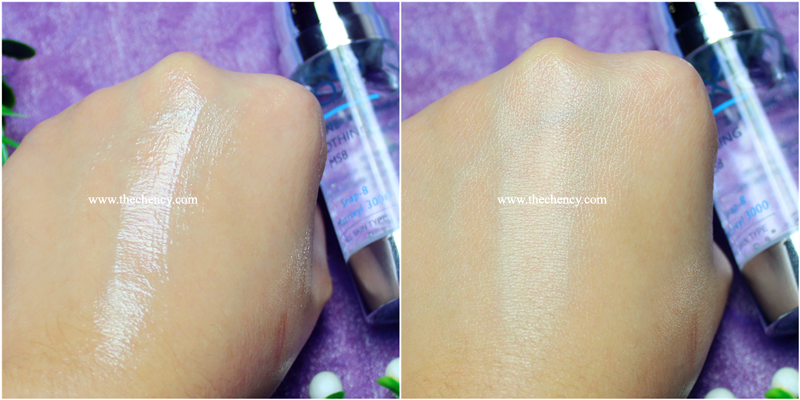 Suggest to those people who loves lightweight product, this ampoule must suits you the best, lol. The raw material of an herbal medicine is from Sederma Company in France. It is used for more than 6 months on deeply caved-in cheek skin, nasolabial folds and pretarsal rolls, a sense of volume as if a filler procedure can be felt. It is also known as the multi oil exclusively for volume that is possible to be used simultaneously on the face, body, hips and breasts. Use it day and night; Pat on required areas of face and body sufficiently, let it absorb thoroughly. 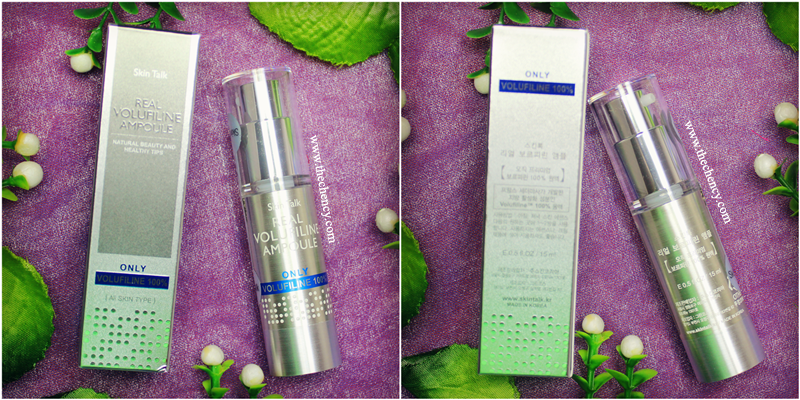 * Note* 100% Volufiline Ampoule is best to improve wrinkles, but an allergic reaction can appear due to such a level of purity. We advise to use it after a skin reaction test. * Note* The principle of the Volufiline is to increase the fat layers, but there is a state of constitution that if it is used on areas where there is not much fats, the effect would be less. 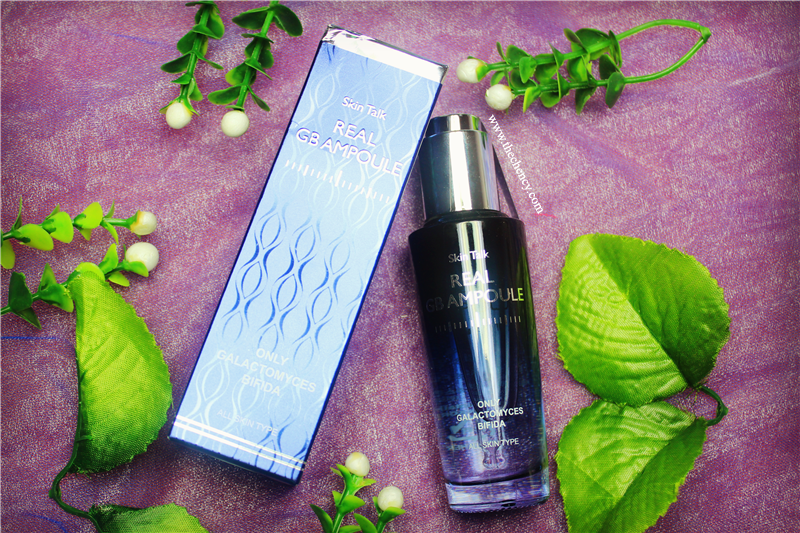 Skin Talk Real Volufiline Ampoule is a very special ampoule. 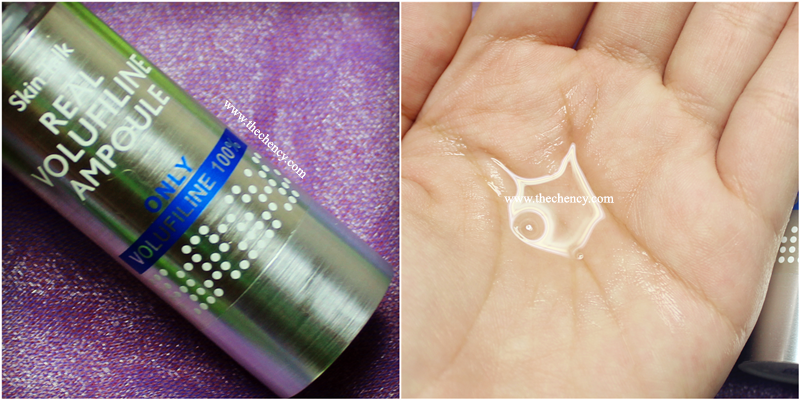 This ampoule is use after moisturizer and before makeup. 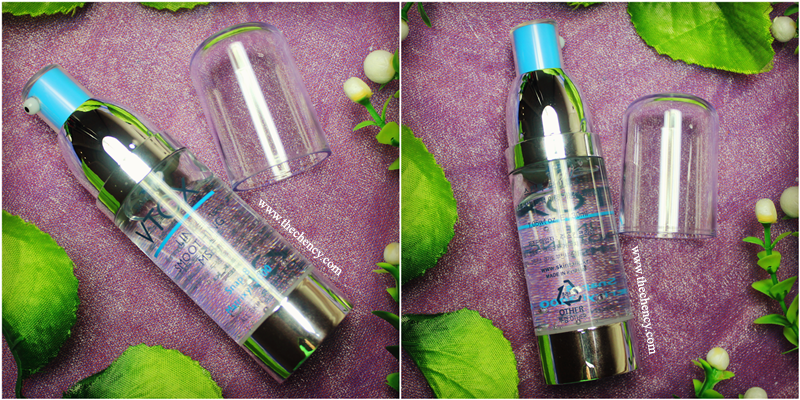 Let's briefly talking about the packaging, silver bottle with normal pump; the size is thin and medium short, like the size of special treatment bottle that we normally can see in market. The weight is very light that what I expect because the packaging always reminds me of metallic that should be in a weight, lol. However, this was just my crap thought. Talking about texture, it is a transparent oil-liquid texture. 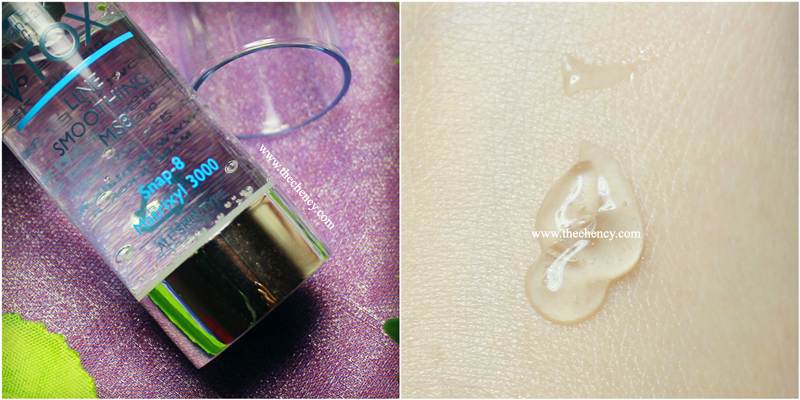 This ampoule gives me a greasy feeling at the moment I touch it. Then, the greasiness was gone after gently massage on my face. It does not left a greasy and sticky finishing; it turns quite refreshing after. 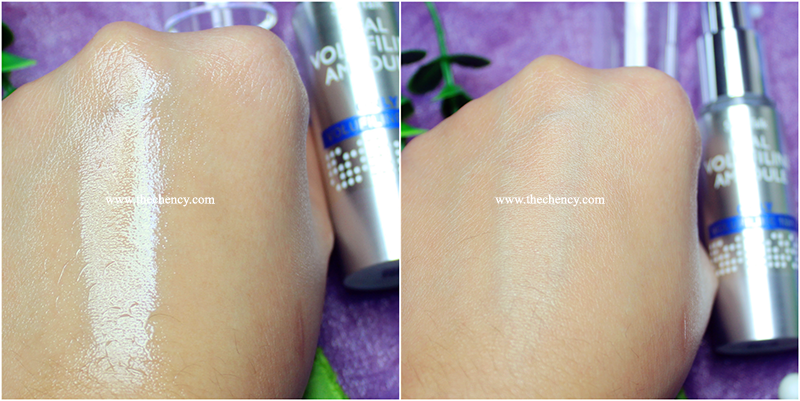 Anyway, this ampoule is apply on specific areas (please refer description above). Since I am quite young, so this ampoule has no necessary for me. I passed this ampoule to my mum where she was much concerns on forehead and smile lines. 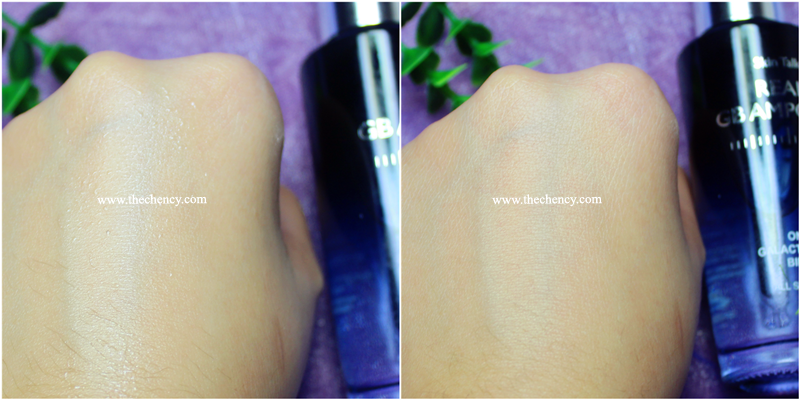 She started to use this ampoule for also two weeks plus, and I check out the result every two to three days with my mum. So far, there's nothing happen like decreasing of lines but my mum said this ampoule does not creating any irritation like itchiness or redness or breakouts. She also said she can see a very very mild slight lifting effect on the area she has applied on. Perhaps the effect only can be seen in a long term application like what the description provided (more than 6 months). • Matrixyl 3000 from Sederma Company in France that speeds up skin regeneration and reduces substances that induce aging. • SNAP-8 from Lipotec Company in Spain relaxes the muscles, getting rid of wrinkles, aiding in prevention and improvement of skin resilience. Apply it on the entire face over a long period and the effects occur together with massaging of the chin area. It is a high-performance essence where a V-line formation like in a Botox procedure can be noticed and maintains it for even a longer time. In the stage of the basics or after cleansing, put an appropriate amount on facial and neck skin and gently let absorb as if you are massaging. 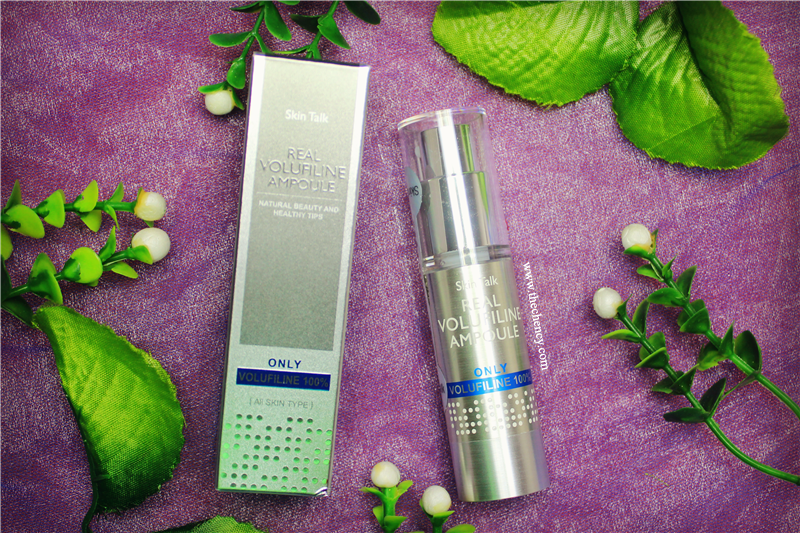 Skin Talk VTOX is an interesting product. I been attracted after reading the description said this product will perform like a BOTOX. Since I always thinking of getting a real Botox (shaper chin), therefore I am so much excited to try this VTOX. The packaging is in transparent plastic blue bottle. Nothing special while nothing attraction for me. The texture is in gel consistency but not runny. It gives a mild cooling effect when applying in on my face. 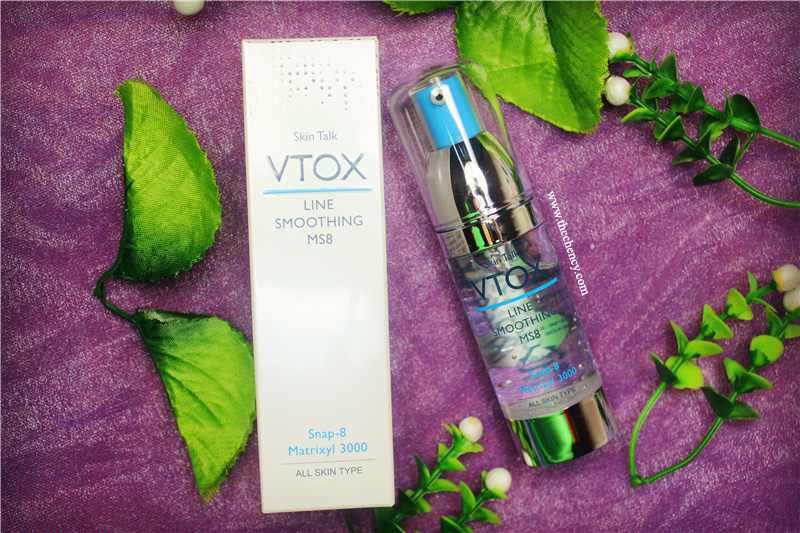 I used VTOX like that the description provided; on chin area pairs with massaging method application. At first, I was though this product will makes my skin feeling tight but it doesn't. I barely feel after applying the product. Frankly speaking, I did not see any results on the first four days. Move to fifth day I only realized my chin was a tad little firmer. Still not obvious on eye sight. Then after two weeks plus of usage, my face was still a little firmer... Basically in conclusion I think this product really has to use in long term for an obvious result. I am not going to amazed with this product if one or few months after, my chin was sharper. This is because I believe was my long-term massaging helps me to archive it more than VTOX. 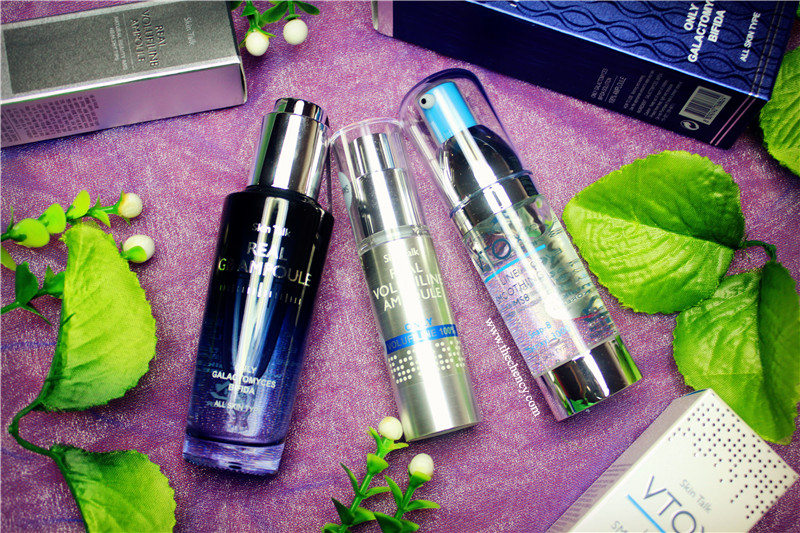 This product is only helps me to enhance more.